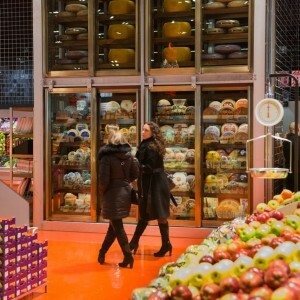 The Healthy Eating and Green Living Tradeshow Salon Expo Manger Santé et Vivre Vert is back in Montreal and Quebec City, with more than 250 exhibitors, 80 seminars and the Montreal Healthy Cuisine Amateur Championship. As I did last year, in the first of two posts, I invite you to discover a few new products at the forefront of today’s food trends. Drop by the Expo and tell me if you liked them too? Big kudos to So Delicious for their new vegan Cashew Milk Desserts both GMO- and gluten-free. 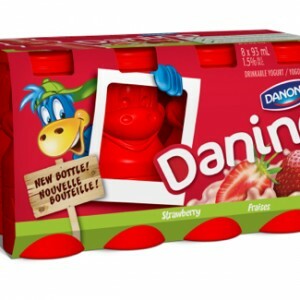 Until now, the brand had focused on three other “milk” types: soy, almond and coco (the star of the hour, coco-based products are everywhere in this year’s edition). 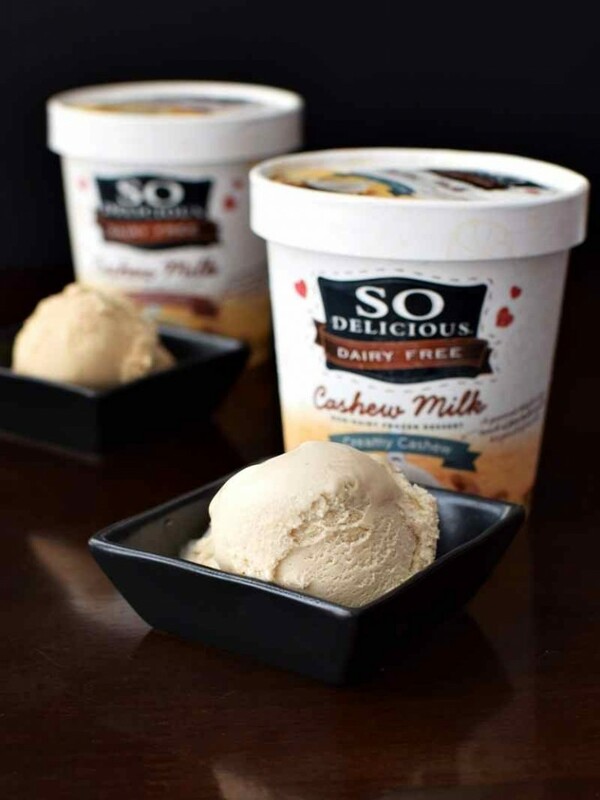 So Delicious has chosen to explore cashew milk with its healthy fats, minerals and vitamins. Don’t think this is “just” a fake ice cream. The taste is somewhat different, yes, a little more subtle with none of the fat mouthfeel, but the texture’s just as creamy especially when you let it thaw a bit. And the recipes hit the mark. Every member of my family adopted a different flavour: kiddo liked the Dark Chocolate, Monsieur went for the Creamy Cashew and I emptied the Salted Caramel jar. In the very first issue of Véro Magazine (! ), I chose te recommend then-new LeGrand Pasta Sauces, so I’ve been a fan of this brand for quite a while. In fact, my son will only eat their four-cheese pesto, to the extent I can’t serve him any other, not even my homemade version. 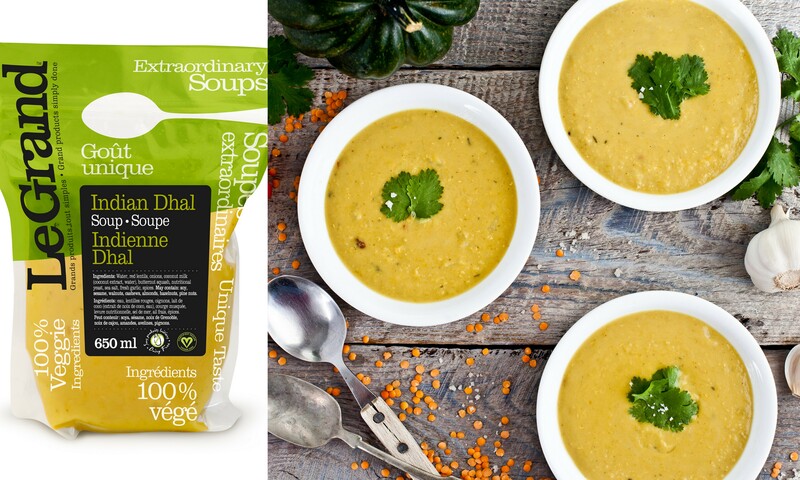 Made with natural ingredients, no preservatives, gluten or added sugar, these new soups offer the same big bold flavours that made their pesto so unavoidable. Choice of three flavours: Tuscan, Thai and Indian Dhal. 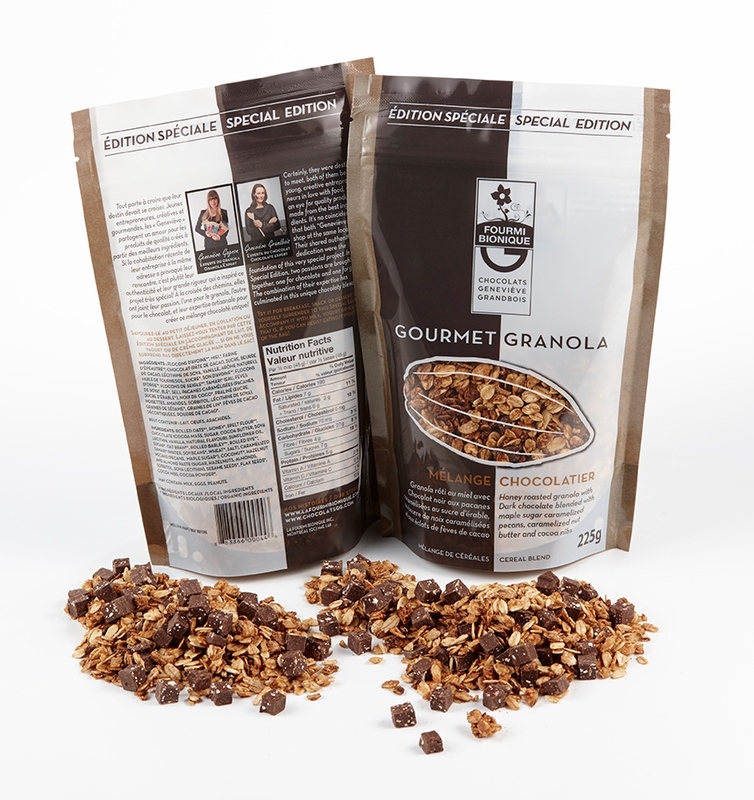 A gourmet granola with Geneviève Grandbois chocolate nibs, how ambitious. Geneviève Gagnon of Fourmi Bionique and chocolate maker Geneviève Grandbois share the same given name, the same values and the same address, a century-old building on St.Patrick Street in Verdun, where offices look like lofts and old floors creak underfoot and overhead. With a brand name like Fourmi Bionique (Bionic Ant), of course, it’s almost a given that the ingredients would be whole and all-natural. The grains are oven-roasted with a touch of honey and the chocolate blended with maple sugar pecans, caramelized nut butter and cocoa nibs. Perfect for sprucing up plain yoghurt or ice cream, and positively grandiose in a multi-level parfait sundae. Note: Thank you to manufacturers who sent samples of their products ahead of the tradeshow so I could recommend my favourites. This post features only the products that personnaly appealed to me and was not sponsored. Merci pour ces belles suggestions. Des trois, le dessert glacé est celui qui m’intéresse vraiment puisqu’il est sans gluten et sans lactose et qu’il m’a l’air vraiment délicieux. Quant aux potages LeGrand, je les essaierais peut-être comme dépannage mais je trouve qu’il est tellement facile de préparer une soupe maison. Pour ce qui est du granola, alors là, impossible à cause du gluten. 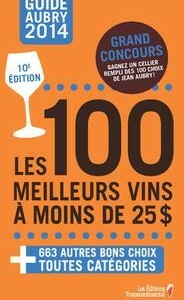 Merci encore Lynne et au plaisir!